A stunning architectural tour of 28 abandoned estates that loom as mysterious ruins along the Hudson River between New York City and Albany. Many of the now-faded mansions were designed by Stanford White, the premier architect of New York's gilded age, and were owned by such illustrious families as the Vanderbilts, Astors, and Whitneys. The author's evocative, sepia-tinted photos capture the architectural splendor of these once luxurious homes, as well as the ravages of time, from the houses' crumbling turrets and spires, porticos, columns, gargoyles, and weed-choked courtyards and gazebos, to their interior vaulted ceilings, spacious ballrooms, and huge, empty libraries. Paired with ghost stories and legends about the estates, this book is a haunting reminder of a bygone era and lifestyle. Monica Randall's evocative, sepia-tinted photographs capture the architectural splendor of twenty-eight palatial estates - some of them truly castles - that loom as mysterious ruins along the Hudson River. Through her masterful photography and darkroom work, Randall also recreates some of the restless phantoms she learned about while interviewing the current owners. These stately mansions, many of them among the most historically significant in the country, recall the aristocratic luxury of a bygone era, with their turrets and spires, rambling porticos, gleaming columns, glaring gargoyles, and, inside, vaulted ceilings, spacious ballrooms, huge libraries that reflect the river elite's obsession for books, and endless personal touches that are the indulgences of the wealthy. Bannerman's Castle, a once-magnificent Scottish-styled fortress, now abandoned for half a century, is perhaps the most breathtaking sight on the river; the abandoned Victorian villa Wyndcliff is a savage display of ruin and decay - these and all the rest hold their secrets in deserted attics, hidden passageways and weed-choked gazebos. Many of the houses were photographed by Monica Randall shortly before being razed; this book provides a lasting record of their former glory. Also included are spectacular Edgewater, once owned by Gore Vidal, and the magnificent Wilderstein, now a museum, which was home to Daisy Suckley, whose love letters to and from Franklin Roosevelt were recently discovered there. The mansions represent the prize work of the renowned architects of the day - Stanford White, Alexander Jackson Davis, Carrere and Hastings, and William Welles Bosworth - and were home to such legendary American familiesas the Rockefellers, Vanderbilts, Warners, and Payne-Whitneys. 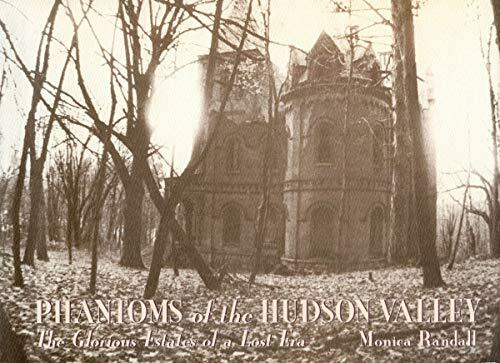 Pairing the visual spectacle of the mansions of the Hudson with the tales of phantoms that haunt them, Monica Randall celebrates the glamour and mystery of these glorious old estates.